it is unaccompanied guitar solo. It is three hours length track and it is the only one track on this album. It is a spectacular that you've never experienced neither with CD, records, cassette tapes nor any other media. Neither synthesizer nor sequencers used in "Eternal Moonbeam On Elysium". every sound in "Eternal Moonbeam On Elysium" was played with only one guitar as "unaccompanied guitar solo". It sounds like minimalismistic contemporary music, but it ain't no simple loop. it makes us confused the response to this auditory stimuli. It resembles the impression made by the rhythmic expression in JINMO's previous album "Gazzeek". we will find two opposite feelings lighted up in moonbeam. and we will feel like to sympathize with someone in deep space never seen. 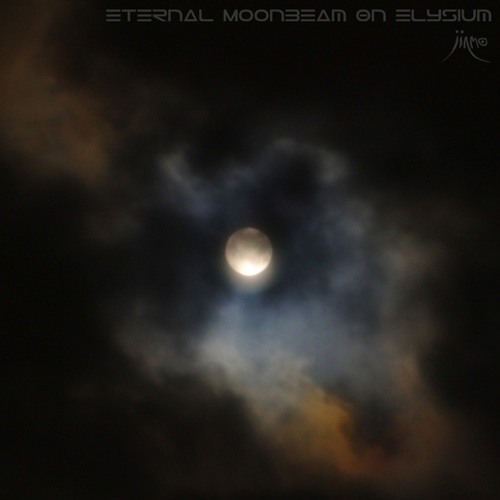 Light up yourself in the eternal moonbeam on Elysium.